With special guests Charlie Musselwhite and Billy Branch. It’s almost 50 years since blues harpmaster Carey Bell released his debut album on Delmark Records. Carey’s children followed him into blues and performed with him often while growing up. 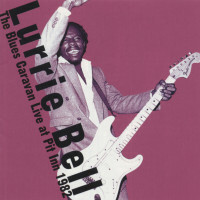 Lurrie’s debut recording was with Carey appearing on Heartaches And Pain (Delmark 666) and he joined with pops again in 2006 to record a live album - DVD, Gettin’ Up (Delmark 791 - DVD 1791) only one year before Carey passed away. Now Lurrie, Steve, Tyson and James Bell join forces as The Bell Dynasty to present this tribute to their dad, Carey Bell. 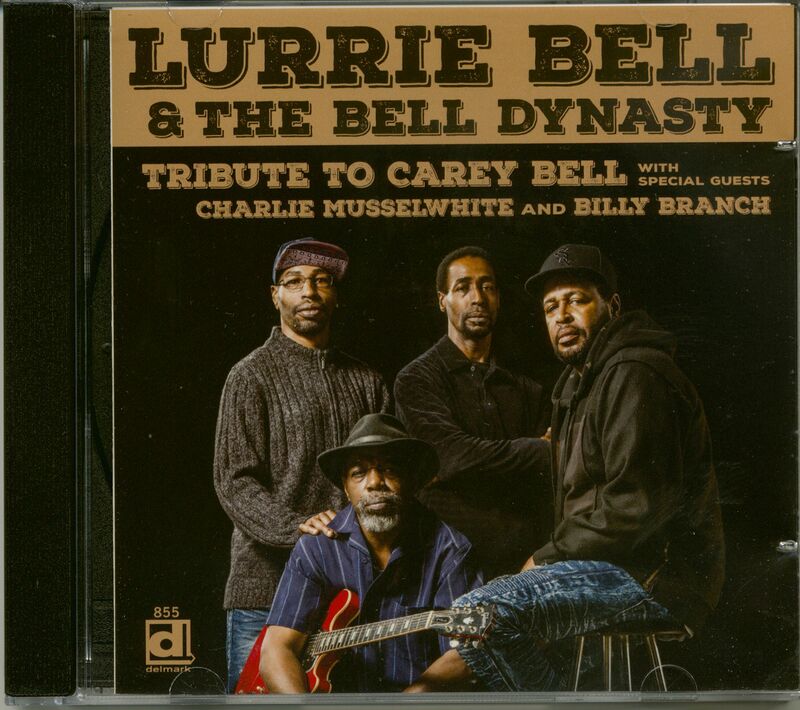 "Lurrie Bell & The Bell Dynasty"
By the time Lurrie Bell (born December 13. 1958) was in his early twenties, he was the Next Great Hope of Chicago blues. Well steeped in the idiom via his harmonica great father Carey Bell, his Godfather Eddie C. Campbell. and a circle of well-known friends and relatives, he made his studio debut in 1977, record-ing behind his father (later issued as Heartaches And Pain, Delmark 666) and Campbell. drafted to add funk to the bass line on the title track of Eddie's King Of The Jungle album while on hand to watch his father participate. A 1978 trip to Berlin with the New Generation Of Chicago Blues pack-age and a stint with Koko Taylor gave him his first real road exposure. In 1982 he and Carey record-ed Son Of A Gun for Rooster Blues. Life seemed full of possibilities. 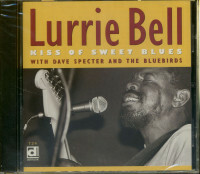 But what Lurrie calls "my trials" are well-known (many are chronicled in the remarkable DVD Mercurial Son and a chapter in David Whiteis' excellent book Chicago Blues: Portraits and Stories): substance abuse, living on the streets, then. as he was regaining his bearings, the loss of his twin babies a few weeks apart, his devoted lady Susan Greenberg and finally his father in 2007. I have told Lurrie more than once that he is the most inspirational person I know. It's not just that he's persevered through such a daunting barrage. It's that he never lets his knees buckle; it's close enough for horseshoes to all sunny side up and indefatigably positive. Lurrie has held on to faith and music for sustenance. With those allies, and the love and sup-port of an impressive roster of friends and family, he has managed to rack up accolades. recognition like multiple Living Blues Artist and Guitarist Of The Year awards and a 3Arts Grant. 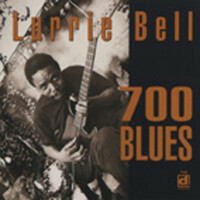 and more raves and renown for his recent CD The Devil Ain't Got No Music (including the French 12Acadernie du Jazz Prix Du Blues Award for Best Blues Recording of 2012) and his tracks on both volumes of the highly acclaimed Chicago Blues: A Living History gather-ings (netting a Grammy nomination). 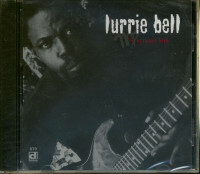 As part of the belated stabilization and renais-sance of his career, Lurrie's last two CDs (on his Aria BG label, named for his surviving daughter) have been about stretching him (successfully) to showcase the breadth as well as the magnitude of his art (and to fulfill a long-held goal of his and Susan's of recording some of the gospel on which he was raised as a church musician during his southern childhood years). Ifs not just that he's persevered through such a daunting barrage. Its that he never lets his knees buckle: it's close enough for horseshoes to all sunny side up and indefatigably positive." 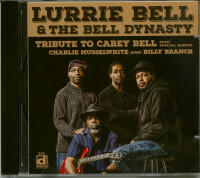 Customer evaluation for "Tribute To Carey Bell (CD)"